Christians across the world are suffering. The media, both secular and Christian, report appalling cases of persecution on a daily basis – situations where Christians are tortured, raped, imprisoned, killed. Researchers list at least fifty countries where Christians are known to be suffering in such obvious ways. There are many others where it is officially lawful to profess Christian faith and to worship, but where Christians are discriminated against in indirect ways, or where their freedom to speak about their faith is restricted. We need to know the facts. That is why we recently asked one of our church members to take on the task of compiling information from different sources and preparing a monthly briefing for us. John will aim to keep the church informed about some of the most pressing situations from around the world. How many Christians are persecuted across the world today? No-one knows for sure. 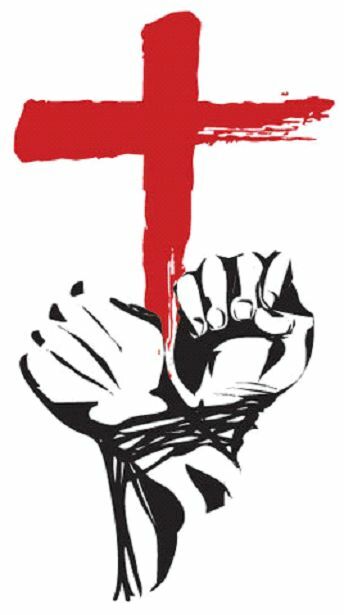 One Christian organisation estimates that over a hundred million Christians worldwide are experiencing arrest, imprisonment or death for their faith in Jesus Christ and that twice that number are suffering harassment or discrimination. Other agencies quote much larger figures. It depends in part on how you define persecution. If we use it to include every sort of harassment that Christians suffer, then there are very few real Christians who are not persecuted. If a teenager shouts “Bible basher!” at me as I walk down the street, should I say I’m persecuted? If a Christian lad is laughed at in college because he refuses to get drunk with his classmates, should he be counted in the statistics? How far does nastiness have to go before we say that we are persecuted? It depends again on how you use the word Christian. When statisticians talk about the number of Christians persecuted across the world, they’re usually using the word “Christian” to mean anyone who calls himself or herself a Christian, regardless of what they believe or how they live. “Christians” may be Roman Catholic, they may be Eastern Orthodox, they may belong to some syncretistic cult. In many cases, they are Christians only by heredity: they identify as “Christians” simply because their parents were before them. The culture into which they were born is “Christian” in a broad sense. But they may know nothing of the Christian gospel or of personal faith. It depends too on the viewpoint of the person doing the statistics. From one person’s point of view, a group is persecuted because its members are Christians. But a different analyst might say that they are persecuted because of their race, their culture – or what others see as their anti-social attitudes. In some parts of the world, for example, it can be very difficult to distinguish between religious persecution and inter-tribal hatred. Two neighbouring tribes may have been hostile to one another for centuries. One tribe converts en bloc to “Christianity”. All the members of the tribe now call themselves Christian though they know little or nothing of what it means. The second tribe may have adopted Islam as its religion. If the Islamised tribe now attacks the “Christian” tribe, should we say that these “Christians” are being persecuted for their faith? Or should we say that this is simply the old inter-tribal warfare under another name? And of course, finally, it depends on the reliability of the reports that are being given. On the one side, human beings are always inclined to exaggerate. On the other side, persecuting states will often try to conceal the extent of their wicked deeds. The fact is that it is almost impossible to get reliable estimates of what is happening in totalitarian states where all the media are tightly controlled. 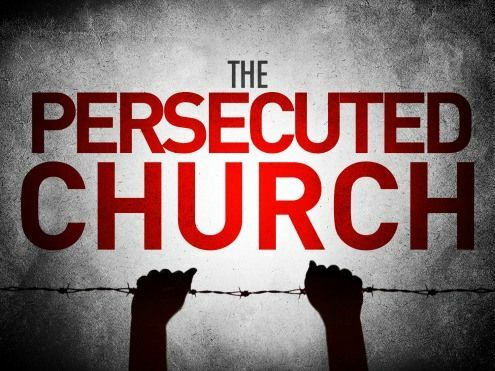 So how many Christians are being persecuted worldwide? All we know for sure is that it’s lots. From all across the world we hear horrific accounts of how our brothers and sisters are suffering for Christ. The reports don’t come to us only through the media or through Christian organisations. We have personal friends in many countries. So often their letters and emails tell us about the persecutions believers are experiencing. Kenya, Nigeria, Sudan, Turkey, Sri Lanka, the Central Asian -stans… Our friends in all these countries can name beloved brethren, known to themselves, who have suffered and died for Christ. And there seems little doubt that the number of persecuted believers is increasing. Militant Islam is waging a relentless war against Christians in many countries. Secularists are becoming more and more aggressive in their determination to silence believers or to push them out of the public sphere. So I am glad that John has agreed to give the church here regular reminders of the extent of persecution in today’s world. Why is it so important that we should know these facts? After all, in most cases there is little we can do practically to rescue or relieve our suffering brothers. Why force ourselves to read heartbreaking accounts of the pain of others when I can do nothing for them? I want to be able to sleep at night. Why fill my mind with shocking stories or ghastly images? Well, I’d agree, we need to be careful. There are real dangers in reading such accounts. I can see three. Firstly, it is possible to develop an unhealthy appetite for horror. The Bible writers were very restrained when they wrote about the cruelties that human beings inflict on one another. We know that in Manasseh’s day, the streets of Jerusalem ran deep with the blood of innocent victims. But the Bible gives us no description of what they suffered. The writer of Hebrews talks about men of faith who were “stoned, sawn in two, killed with the sword” (ch 11 vs 37). But we are given no close-up descriptions of what they endured. Some Christian writers have given graphic descriptions of the agonies of crucifixion. But when the gospel writers wrote about the death of Christ, they gave almost no detail of the physical tortures of the cross. There is nothing in the Bible to feed a sensationalist or sadistic fascination with human suffering. Secondly, it is possible to become hardened to the suffering of the people we read about. Horrors constantly repeated can become commonplace. There is such a thing as compassion fatigue. TV viewers watch one more report from a famine district or a war zone, yawn and go off to make a cup of tea. Josef Stalin is reputed to have said, “One death is a tragedy, a million is a statistic”. God forbid that our brothers and sisters, going through the fire of persecution, should ever become mere statistics. And thirdly, constant exposure to accounts of persecution may leave us overwhelmed and paralysed by fear. We may feel that the kingdom of Christ is threatened, that the church is in danger of being crushed, that the war is being lost. We may become demoralised when we see the casualty figures. We may forget that Christ is advancing to victory, that those who die under his banner are more than conquerors (Romans 8: 37); that the martyrs, far from being defeated, sit on thrones and exercise kingly power with Christ (Revelation 20:4). So yes, there are dangers about tracking the persecution of believers around the world. And yet we have to do it. Why? Here are three reasons. We are commanded to sympathise – to enter into the experience and feelings of our brothers and sisters, our fellow-members in the body of Christ. “Remember those who are in prison, as though in prison with them, and those who are mistreated, for you also are in the body…” (Hebrews 13:3). We feel – or should feel – a natural sympathy with all human suffering. But God’s purpose is that his people should feel a more-than-natural sympathy with each other. He has made them one by joining them all to his Son Jesus Christ. As each is joined by the Holy Spirit to Christ the head, they become a single body, an organic unity. And within that body, “if one member suffers, all suffer together; if one member is honoured, all rejoice together” (1 Corinthians 12:26). Christ the Head suffers with each of his suffering members .“Saul, Saul, why do your persecute me?”, he asked (Acts 9:4). Whatever pains Saul inflicted on any of Christ’s people were felt by Christ himself. And the other members of Christ’s body are supposed to feel the pain too. And so fulfil his word! Of course, the first place where we experience that shared sorrow is within the local church. The people we know best are inevitably the people whose pain we feel most acutely. But if we are joined to Christ, we should increasingly share his pain for all his afflicted members, throughout the world. Reading accounts of what is happening to believers in North Korea or Iraq causes me pain. It leaves me aching. And that’s a pain I need to feel. It is essential to my growing relationship with Christ and my growing relationship with his people that I should share his pain and theirs. As we enter into the suffering of our fellow-believers, we are being delivered from the self-centredness we have inherited from Adam, and we are growing into the other-person-centredness of Christ. We are commanded to pray. “On Him we have set our hope that He will deliver us again; You also must help us by prayer…” (2 Corinthians 1:11). Paul pleaded for the prayers of his fellow-believers when he was facing persecution and he believed that those prayers were answered. How should we pray when we hear about situations of persecution? We should pray that our fellow-believers will be given grace to stand firm and bring honour to Christ, whatever befalls them. This was the first thing Paul asked for at times when he was called to suffer for Christ. “Pray also for me that words may be given to me in opening my mouth boldly to proclaim the mystery of the gospel, for which I am an ambassador in chains” (Ephesians 6: 19). And he was sure that such prayers would be answered: “I will rejoice, for I know that through your prayers and the help of the Spirit of Jesus Christ, this will turn out for my deliverance as it is my eager expectation and hope that I will not be at all ashamed, but that with full courage now as always Christ will be honoured in my body, whether by life or by death.” Again and again Paul was given courage to stand boldly for Christ – and he was sure that God gave him that courage in answer to the prayers of others. We should pray that God by his Spirit will give the same courage to persecuted believers today. We should pray too that persecuted believers will be delivered from their sufferings – that the persecution will be cut short. Paul tells us to pray for those in authority that they will rule well, “so that we may lead a peaceful and quiet life” (1 Timothy 2:2). He asked the believers in Rome to pray that he would be “delivered from the unbelievers in Judea… so that by God’s will I may come to you with joy…” (Romans 15:32). The Lord Jesus has told us to pray daily, “Lead us not into trial but deliver us from the evil one” (Matthew 6:13). In many situations, we cannot guess how God will deliver believers from their trials and temptations, but we are sure he will hear our prayers and act. The Iron Curtain fell and persecution was cut short for many believers in Eastern Europe. Lots of people were astonished by the turn of events. But it was God’s answer to the prayers of believers across the world. We should pray not just for our persecuted brothers but for those who persecute them. Jesus said, “Love your enemies, do good to those who hate you, bless those who curse you, pray for those who abuse you” (Luke 6:27). And he showed us by his own example how we should pray for them: “Father forgive them, for they know not what they do” (Luke 22:34). We should ask first for grace to be given to persecuted believers to pray in that way, and then we should join them in praying for their persecutors. How do we expect such prayers to be answered? There is only one way that persecutors can be forgiven. They “don’t know what they are doing” – so they must be told! God must send them gospel messengers as he sent messengers to the people who had crucified Christ (Acts 2:33). They must be brought to repentance and they must seek forgiveness through Christ, just like the people of Jerusalem so long ago (Acts 2:37-38). Jesus’s cry from the cross was answered by the salvation of three thousand of his enemies on the day of Pentecost. Can’t we expect to see equally wonderful answers to prayer today? And finally we must pray for justice to be done. Yes, we pray for persecutors to be forgiven and saved. But we know that there are some will remain stubborn and hating to the end. So we pray that God will deal with them in justice. The Old Testament psalmists pleaded with God again and again to judge and punish wicked people who persecute the innocent. But such prayers for justice were not just for Old Testament times. Jesus gave us the example of a widow who prayed, “Give me justice against my adversary” (Luke 18:3). And he assured us, “Will not God give justice to his elect who cry to him day and night? Will he delay long over them? I tell you he will give justice to them speedily” (vs 7). Is it wrong to long and pray for the wicked to be punished? It can’t be. “I saw under the altar the souls of those who had been slain for the word of God and the witness they had borne. They cried out with a loud voice, ‘O Sovereign Lord holy and true, how long before you will judge and avenge our blood on those who dwell on the earth?’ ” (Revelation 6:9-10). The saints in heaven, free from sin, plead for God to bring vengeance on their persecutors. We are commanded to prepare. The Lord Jesus warned that every one of his followers should expect persecution and be ready for it. “If anyone would come after me, let him deny himself and take up his cross and follow me” (Matthew 16:24). He knew that he would carry a cross to a place of execution. He said that each of his followers must be ready to follow him to that same place. “Behold I am sending you out as sheep in the midst of wolves so be wise as serpents and innocent as doves. Beware of men for they will deliver you over to courts and flog you…Brother will deliver brother over to death.. you will be hated by all for my name’s sake…” (Matthew 10:16-23). The apostles repeated those warnings. “All who desire to live a godly life in Christ Jesus will be persecuted” (2 Timothy 3:12). “Beloved, do not be surprised at the fiery trial when it comes upon you to test you, as though something strange were happening to you. But rejoice insofar as you share Christ’s sufferings…” (1 Peter 4:12). Almost every book in the NT (23 out of 26 by my count) speaks about the persecution believers must expect to face. And yet so often we assume it will never happen to us. Why? Because we live in the UK. And we are used to freedom. For three hundred years, believers here have had almost unrestricted freedom to worship, to witness, to follow a Christian lifestyle. Indeed the laws of the land have given us many privileges and protections. We are shocked when we hear of open-air preachers being arrested or nurses being sacked for witnessing to patients. “These things can’t happen here!” And we assume that if we protest in the right quarters and lobby with enough vigour, we can make sure that freedom will persist. We need to be reminded that persecution is the norm for Jesus’s followers. We have every reason to think it will come to us – and maybe sooner than we expect. Looking at the experience of believers around the world forces us to see that we are not immune. If the Lord allows believers in Pakistan, in Indonesia, in China, in Sweden to suffer, why should we be exempt? “Be sober-minded, be watchful. Your adversary the devil prowls around like a roaring lion seeking someone to devour. Resist him, firm in your faith, knowing that the same kinds of suffering are being experienced by your brotherhood throughout the world…” (1 Peter 5:8-9). Awareness of the suffering of others helps us to be prepared for our turn when it comes. Are there practical preparations that can be made? Jesus told his disciples, “When they persecute you in one town, flee to the next…” (Matthew 10:23). So where would I run to with my children if I needed to? How would we get there? How would we live? What if the church was stripped of its assets? How would we meet without a building? What if it became illegal to witness in public or private? How would we then fulfil the great commission? 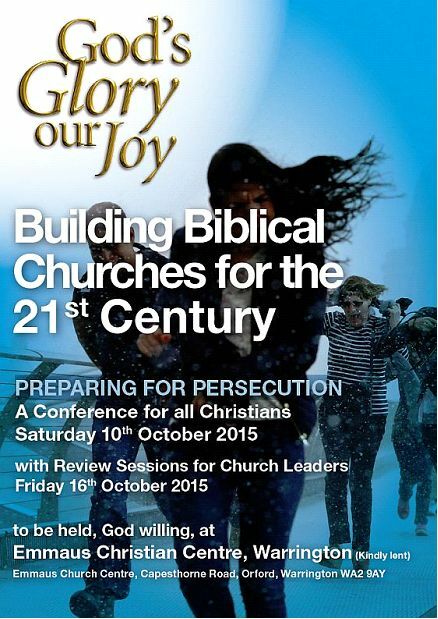 The God’s Glory our Joy conference this year will be devoted to the subject of Preparing for Persecution. We’ll gather on Saturday 10th October at the Emmaus Church Centre near Warrington. And we’ll spend the day thinking about this vital issue. Our main speaker has spent the last thirty years ministering in a part of the world where Christians are at best marginalised, and where Christians have been brutally murdered. Many of the young men and women from his congregation will return to situations where they and their loved ones face death daily at the hands of wicked men. I know few men better equipped to help us prepare for persecution. Mike Judge will also be addressing us. His years at the Christian Institute have given him an awareness of what is going on behind the scenes in this country: where the threats to our freedom are most likely to arise; what the pressure points are likely to be. And finally, Bill Hughes will preach God’s word to us in the closing session. I believe this is one of the most important conferences to be held here in the north-west of England for many years. Please make it a priority. We’ll be holding two follow-up seminars for local church leaders on the following Friday (16th October) so that we can discuss the practical implications of all we’ve heard. If you want to attend those sessions but are unsure whether you fall into the category of “church leader” please contact us. May God stir us to a deeper, more Christ-like concern for his suffering people around the world. And may he help us to prepare for what may come. “Watch and pray that you may not enter into temptation. The spirit indeed is willing, but the flesh is weak” (Mark 14:38).